Woohoo! 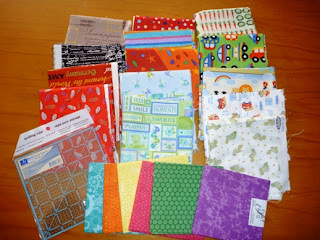 I have something to share for Sunday Stash over at Finding Fifth. We had a little mini holiday last weekend to celebrate my sister's 30th. Apparently our grand ideas of filling the restaurant for her birthday dinner with a gazillion helium balloons was a little bit over the top (?! what really?!). And so was the idea of having a gigantic number 30 in big glittering silver helium balloons. Seriously, what is wrong with this girl? Who wouldn't want their age proclaimed to the whole wide world?!. So we had to do a last minute trip to the shop and get some smaller scaled helium balloons filled up. And it just so happens this shop is the big craft shop here (Spotlight for the Aussies/Kiwis). Oh and did I mention I had a voucher where if I spent $100, I saved $40? So clearly fabric shopping was needed to get to that magic $100. Is that sounding like an excuse? 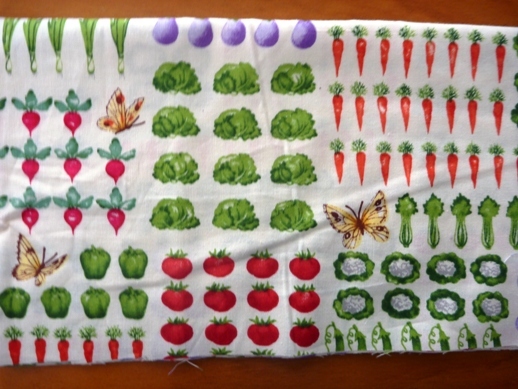 Is it time for me to check into Fabricaholics Anonymous? So I had a bit of fun. Just a little bit. They are all 30cm cuts so I have enough to play around with but didn't fill up the money limit too quickly haha! Plus finally! A square ruler! It's only my second quilting ruler so I'm a bit excited about that. How ridiculously cute are these bugs? I have no plans for them yet but I couldn't resist. I am really loving this one with all that fancy script all over it. I am thinking of using this one for the Handmade Swap for my secret partner. Still deciding if it would suit her. 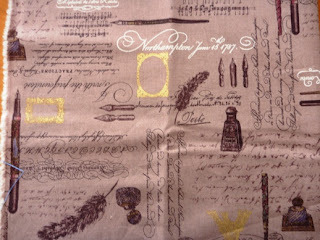 I am really struggling on the perfect fabrics for the swap! In other news... today is my beautiful daughter's birthday. She turns two. Still can't believe it. I must be turning into a big old sap because I'm a little sad that there's no way I can refer to her as a baby now that she's two (though just quietly, she'll always be my baby!). I made her a little owl - which she played with the other day, then I wrapped it up and she pretended to be surprised all over again today haha. All I've heard is "uh uh owwwwllll". Pleased I managed to capture it on video as she squished it and cuddled it. Pattern is by Footloose and Fancy Free btw. Great pattern, very easy to follow and ridiculously cute. This is the baby size one - about 20cm tall. 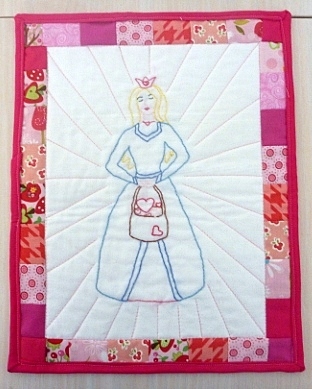 I also gave her the Queen of Hearts mini quilt I made for the Play competition (watch out, I'm going to be asking for your votes on it soon haha! Cos clearly I need to win fabric vouchers!). 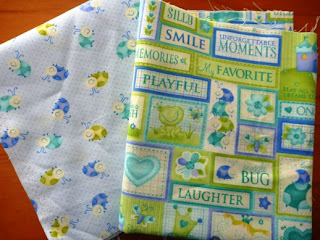 I designed it with my Lulu in mind to go with the dolly I gave her for her bday. Happy to say it was an absolute hit with my gal. 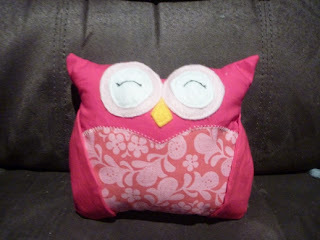 She marched out the door carrying the dolly quilt in one hand and the owl in the other! Ah makes my heart melt. And makes me want to make more cute little things for my cute little rabbit. 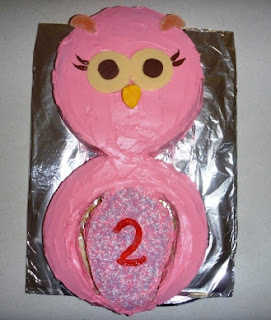 Like this owl cake! She chose this cake out of the cake book - think she likes owls a bit at the moment? What a great Sunday! Hope yours is just as fabulous! What a great season of birthdays! I did the whole Spotlight spend 100 save 40 as well, totally irresistible!!. In my defence I went with a friend so it was a shared endeavour! Happy birthday to your lovely wee girl! Isn't it rewarding when your children love the things that you sew for them? Happy Birthday, what a cutie! I love those vouchers. I used mine to stock up on wadding. They had 20% off as well so big savings! 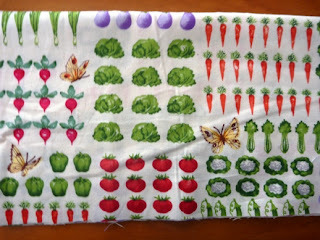 How cute are the veggies?! I love your daughters presents, you must be really proud of yourself for making them. Aww, what a sweetie. She looks so happy with her presents. Your owls came out great! How handy was that, you needed to buy some fabric to make up the amount for the voucher! So sneaky!! She looks so pleased with her handmade mummy gifts. Great job. 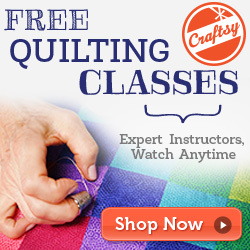 You have been a non-stop craft machine for the past 2 months. 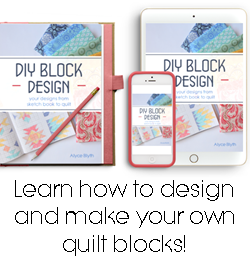 Thanks for linking up at Sunday Stash...I still have a few layout issues to sort through but at least this week the links were visible! All the owls are so cute!! 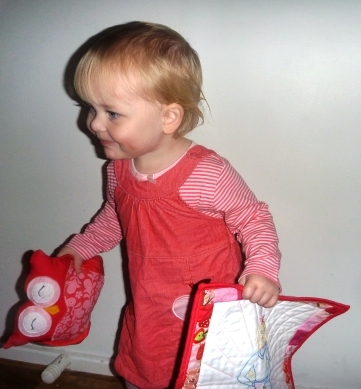 Your daughter is so adorable with her gifts in tow! I'll put up my hand to be a member of Fabricaholics Anonymous...actually there's nothing anonymous about my hoarding problems!! I used my Spotlight voucher and got curtains for the family room and lounge and dining room for the price of one room...bargain I say!